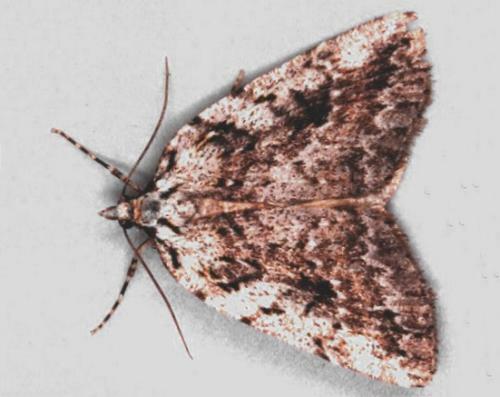 The adult moths of this species have forewings with a brown pattern. The wingspan is about 3 cms. The eggs are smooth and oval with a dimple. They are initially white, and turn brown as hatching approaches. 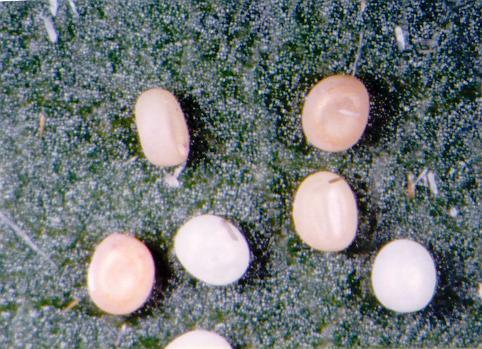 The eggs are about 0.75 mm in length. Volume 30 (1906), p. 131.